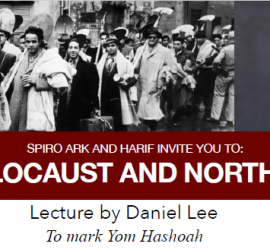 Spiro Ark helping extol the virtues and values of the Jewish Culture which have seen Jewish people achieve huge success globally. Hearing about the history of Cambridge and its university by a local guide, born and bred, is not something you do everyday and I'm glad that I tagged along for the adventure. 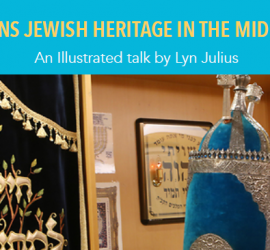 It was great being among like-minded individuals and learn a little about everyone and then have a private lecture about the Genizah! What a fascinating document! And what a great chance to actually see and touch the originals that are being studied! 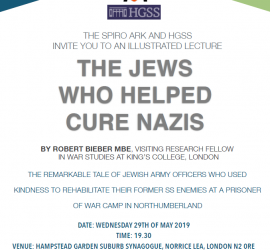 For those interested in history - Jewish or otherwise - this was a great opportunity and I'm very grateful to Spiro Ark for putting on these tours and their events. First, but not last! Thank you! Dear Nitza, Robin and Aleksandra, few lines just to thank you again for the beautiful trip of yesterday to Cambridge. It was a while I didn't have such a great time and I deeply enjoyed my time with you there. It has been a great, enriching and inspiring experience. So a big thank you! Thank you for a really enjoyable trip to Cambridge last week. Learning about the discovery of the Genizah and seeing some of the documents displayed was absolutely fascinating of course, quite a privilege, and I thought the trip was very well-balanced with the guided tour of Cambridge too. Although I've visited the city quite a few times before, your guide was excellent, really clear and interesting, and as it happens took us down some lovely back lanes which I didn't know, so that was a treat. Many thanks for organising this interesting trip so well - comfortable coach with good driver too - and I look forward to other trips in future. More power to your elbow!